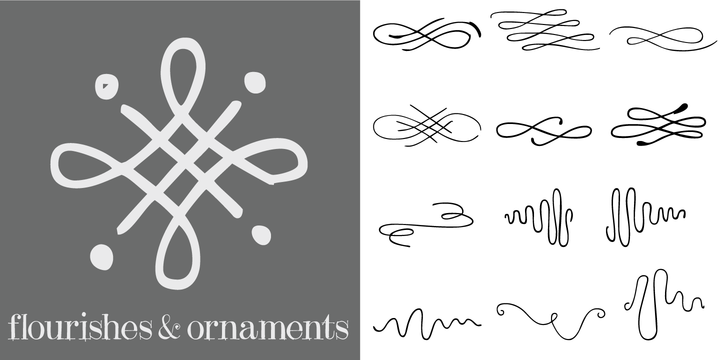 Flourishes & Ornaments is a typeface created by Rae Kaiser and published by Outside the Line that contains 50 hand-drawn flourishes & ornaments perfect for your projects, cads, invitations, weddings etc. It is good for any purpose! A font description published on Wednesday, July 2nd, 2014 in Fonts, Outside the Line by Alexandra that has 4,562 views.